Hayward, CA -- Recording King introduces the Dirty 30's Tenor Banjo, bringing 100 years of history into the present with the rugged, road-ready vibe of the Dirty 30's line. The tenor banjo first came to prominence in the early 1900's, and its C-G-D-A tuning is especially well suited for folk, Celtic and Dixieland music. Hayward, CA -- Recording King adds two new banjos to the best-selling Madison line – the RK-R36 tone ring banjo with mahogany resonator and neck, and the RK-OT25, an open back with a scooped fretboard and no-knot tailpiece. The Recording King Madison line is for every banjo player looking for a high-quality, great-sounding instrument that's still affordable. 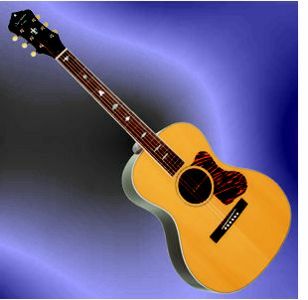 Hayward, CA -- Recording King has updated their Slope Shoulder guitars with an extended scale length and vintage styling. They have taken everything great about their slope shoulder guitars and added a bunch of new features that will please both modern players and vintage enthusiasts. Hayward, CA -- Recording King's new 13-Fret Greenwich Village guitar has a 4/12" deep body for extra tone and projection in a small-body instrument with vintage styling. In the spirit of one of the most famous "lost" guitars in history, the Greenwich Village has loads of vintage vibe and tone. With an extra-deep body, 13-fret neck joint and classic Recording King headstock, this guitar honors both Golden Age film troubadours like Nick Lucas and historic folk singers from the 1960's. The 4-1/2" deep body gives it extra projection, the 13-fret neck and bridge placement makes for perfect resonance across all registers, and the 25.4" dreadnought scale length gives it added punch and volume. 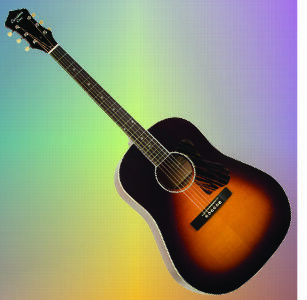 Hayward, CA -- Recording King introduces the RP-06, the world's most high-value 0-style guitar. From the same series and built with the same appointments as the best-selling RD-06, the RP-06 sports a solid Sitka spruce top with mahogany back and sides. The 12-fret neck joint and corresponding bridge positioning give the RP-06 the warm, mellow, full-bodied tone guitarists look for in a classic 12-fret model. 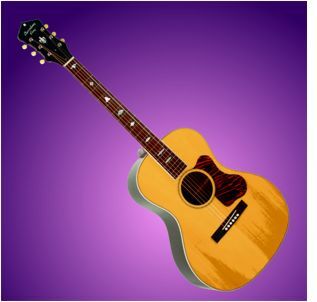 With a 1-3/4" nut, the RP-06 is comfortable for either finger-picking or strumming. The vintage-style 0-style body is great for travel, stage or couch, and thanks to the 25.4" scale, still has the same volume and projection as a full size instrument. On June 15th, Johnny Butten became a second term endorsee for Recording King Banjos. The first term was for just 1 year where he joined fellow banjo player and Recording King endorsee Kenny Ingram. This time, Johnny and Recording King have agreed on a 3 year contract.